MADISON HEIGHTS, MI, January 22, 2019 – Xeeva, Inc., a global provider of intelligent procurement and sourcing software, announced today the issuance of a new patent (US10176427 B2) for its Virtual Data Manager capabilities. The patent incorporates functionality for rapidly enriching data records to improve both quality and consistency. Previously, Xeeva was granted multiple related AI patents for its spend classification abilities. This new patent is an expansion of those, beginning to cover the data enrichment process. Once spend data has gone through cleansing and classification, the enrichment will be completed. With Xeeva’s unique AI technology, its software is able to operate at the individual line-item level, rather than holistically at the supplier level. This granularity provides an unparalleled capacity to get insights from spend data and uncover savings opportunities – ultimately driving massive savings for procurement teams. Xeeva is standing out from the crowd in the procurement space with its enrichment capabilities, as many solution providers only classify data currently. By being able to cleanse, classify, enrich, and deduplicate spend data, Xeeva’s software allows procurement teams to make educated decisions with confidence that positively impact the bottom line. 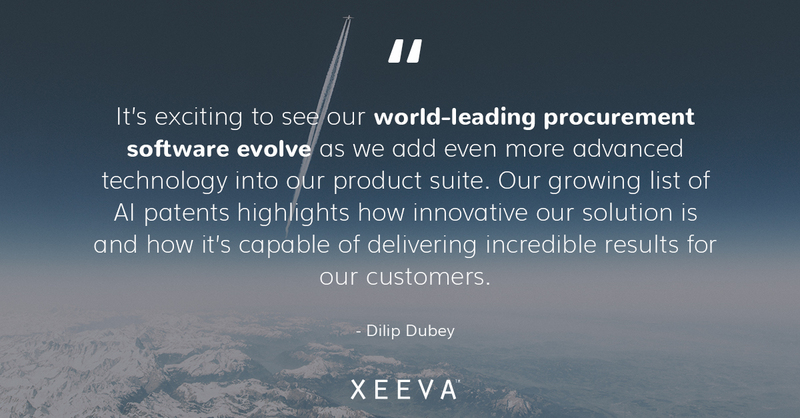 To learn more about Xeeva’s patented AI-powered procurement software, visit www.xeeva.com/the-tech.